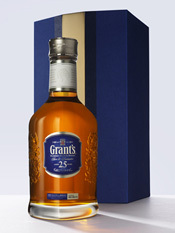 We were recently invited to the UK launch of Grant's 25 years old - the oldest expression in the popular brand's range. It marks the first official time that the bottling is available on British shelves. The event took place in the impressively stocked Wine & Spirits department of the iconic Selfridge's department store in central London. The launch and subsequent tasting was hosted by Ludo Ducrocq, the Global Brand Ambassador of the Grant's brand. Aberlour is one of the biggest selling single malts in the world and currently sits comfortably within the global top ten for volume of sales. It is also the top selling single malt whisky brand in France, which is no mean feat as the French consume the most whisky of any country in the world. 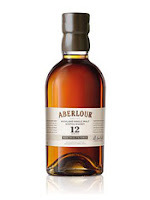 Aberlour is also popular in the UK and southern Europe, and the core range consists of this 12 years old plus 10, 16 and 18 years old expressions. These are joined approximately once or twice a year by a cask strength single batch whisky named A’bunadh (pronounced a-boona). Earlier this year, the world's best selling bourbon launched a new liqueur which mixes its four year old bourbon, used in their famous White Label, with honey. The result was Jim Beam Honey. We were invited to the UK launch, which saw a London square turned into a large beehive with bartenders serving cocktails while wearing beekeeping outfits. 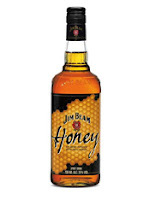 Jim Beam Honey has captured the attention of non-whisky drinkers and seems to go from strength to strength with its recent launch in the European travel retail sector. 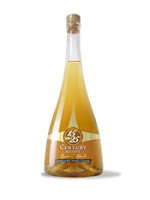 The Century Reserve is released by the Canadian distillery of Highwood. The whisky, subtitled Lot 15-25 or sometimes 15 Years Plus, is made up of casks aged between 15 and 25 years of age. Some of these are believed to have been distilled at Potter's, a distillery which Highwood took over (along with most of its maturing stock) in 2005. Highwood Distillers is an independently owned company which is based in the Rocky Mountains of the Canadian province of Alberta. 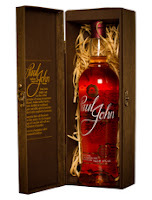 Paul John is the newest addition to the growing number of whiskies that are coming out of India. It is produced by John Distilleries - they produce the Original Choice blended whisky, which is one of India's biggest whisky brands and the seventh best selling whisky by volume in the world, with annual sales of over 60 million bottles. The company has decided to branch out in to the premium single malt whisky sector and Paul John is the result. They have selected a single cask as the first release and this will be followed by other single casks in time.